I have been on the bandwagon of catch-up TV on the Internet for a while now, and have been enjoying Death in Paradise and Downton Abbey lately. Managed to watch only one movie during some 24+ hours of flying, Agneepath was terrible, so I didn't waste a good movie on that tiny screen. Read two books: Litigators by John Gresham* and The Thirteen Problems by Agatha Christie - both I would recommend you to stay away from. I have a few movies waiting to be watched: Hawking and Rockstar being on the top of the list. Tho, some how Death in Paradise, The Amazing Spiderman and The Dark Knight Rises were the ones that got watched. and listening to them made me more homesick than all the dramas in my life could. Talking about songs, you might enjoy this one as well. Being a bit aware about the story telling of the Mahabharata in the traditional story telling forms (OK, just Kathakali actually) I know that different characters look different to each other. "These puppets come in all shapes and sizes from the squarish brutish forms of the giants, 'raksasa', to the smaller fine limbed figures representing highly cultured kings and nobles. Some are grotesques. In fact every part of a puppet's design has symbolic significance.Different shaped eyes and noses denote such qualities as nobility, patience, crudeness, steadfastness, strength, loyalty, clownishness or wisdom. There are about 25 varieties of headdress to represent priests, princes, fighters, queens deities, kings or gods. 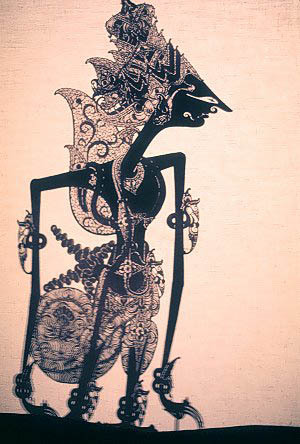 Looking for Wayang Kulit on the Internet re-introduced me to the face masks I saw everywhere. Now of course I find that "Southeast Asian masks traditionally, represent people, demons and deities. They are cultural icons that help preserve tradition, religion and history." I just ended up buying a mirror with similar art work on it, and pen sketch of a village scene. Who would have thought buying souvenirs is serious business!! *Given my recent experience with some very prosaic lawyers I read the book a lot differently than I would have in the past. In the past lawyers meant Vallabh Bhai Patel, Gandhi, Nelson Mandela, Clarence Darrow, Clinton, Obama, my uncle and cousins; now I know there a lot more of them like the ex-husband.